The second half of the recital on the Steinway. In the Beethoven Sonata in G major Op. 31 No.1 he preserved a some sense of the classical style I associate with this composer (not dry or articulated enough for me) and sometimes found his dynamic changes slightly exaggerated and the final Presto rather over-pedaled. He concluded his recital with the Chopin Sonata in B-flat minor Op. 35 in an interpretation that was a finely wrought, although a rather conventional performance - but that is hardly a criticism. He tends to lack finesse in his playing perhaps due to his youth. I hope that as he matures his playing will develop in finesse and explore more variety of touch, tone colour and dynamic subtlety. Still young, terribly popular, communicative (two standing ovations) and again a tremendous future as a pianist can be predicted for him. Cho opened his recital this evening with Beethoven - the popular so-called Pathetique sonata Op.13. 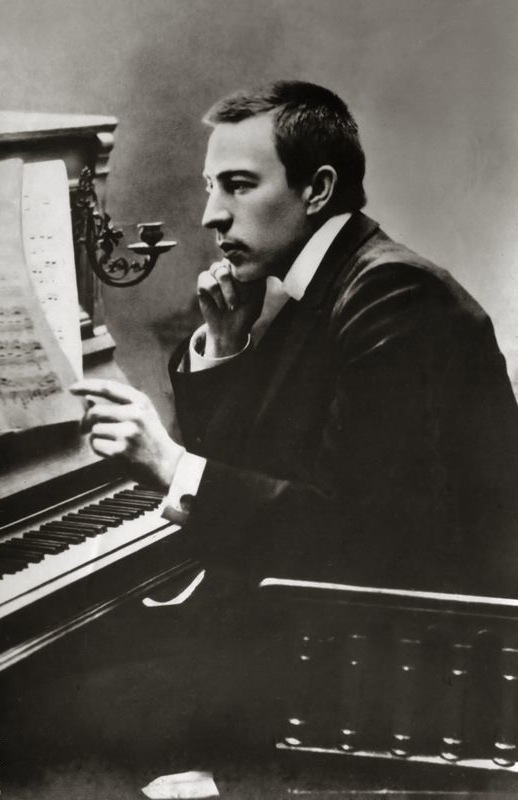 Wilhelm von Lenz was a German-Baltic musicologist and member of the Imperial Russian Council of State who incidentally considered Chopin a 'political subversive'. 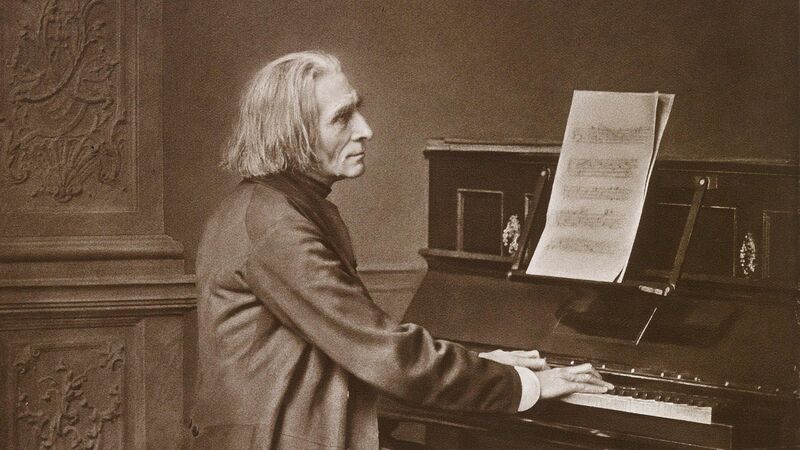 He dealt mainly with Beethoven and wrote of the 'calm grandeur' of this sonata. It was Beethoven's first successful 'sublime' sonata and became popular even during his lifetime. I found the opening rather too deliberate for this dramatic movement and rather over emphatic in its expressive possibilities. Yes it is marked Grave but I felt it was rather to slow. The Adagio cantabile was yearning but I thought lacking in a true cantabile singing legato. The Rondo. 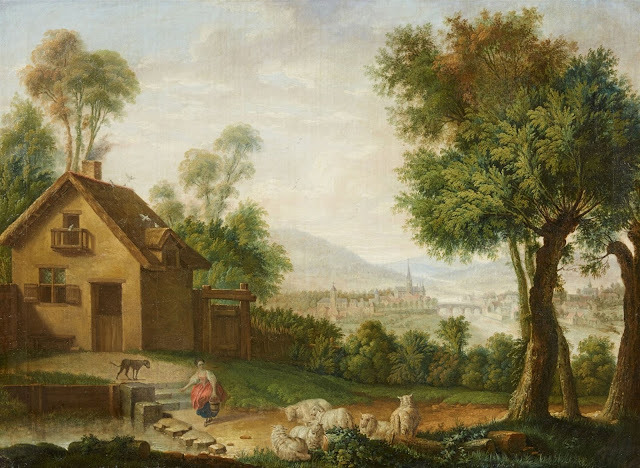 Allegro concluded in this dramatic piece in a fine exuberant and even romantic style. After the Intermission two fine impressionistic performances of the familiar Debussy La plus que Lente and L'Isle joyeuse written on the island of Jersey when in a state of heightened emotion - the composer was joyfully embracing a passionate love affair in the summer of 1904 with Emma Bardac, the wife of a rich and prominent banker. His wife, 'Lilly' attempted suicide. Much of La Mer was written on the island. Cho gave us a beautifully wrought impressionistic account of the pieces, maintaining an attractive quality of a summer afternoon's improvisation but also passionate. Then to the four Chopin Ballades. The G-minor Op.23 evolved into a poetically expressed narrative of great intensity and power with superb phrasing and sense of rubato. The presence of a large audience led him occasionally into emotional extremes and rushed lack of clarity especially in scale passages. Powerful coda. I found the F-major Op.38 rather uninvolving as much of it was played at a rapid tempo which did little for the listener attempting to follow the evolving narrative through the harmonic and inner polyphonic , contrapuntal detail and progressions. Listeners need time to decode the music. Pianists over-familiar through hours of practice tend to forget we listeners are not as familiar with details as they are and need time to be given time to unravel what the composer is saying. The A-major Op. 47 - such a beautiful work, seemed a blithely pastoral and seductive love story. The final great Ballade (one of the enduring masterpieces of the Western piano canon) was magnificently wrought, an innocent opening of the greatest simplicity and refinement exercising inspired control over the musical narrative. I felt the Coda somewhat rushed however for no very good reason. As encores nuanced Mozart and a rather conventionally 'passionate' and 'angry' so-called 'Revolutionary' study. Although some aspects of the Vespers remain constant it is not really a 'work' in the way we say envisage nineteenth century symphonies but may well gave been assembled depending on liturgical requirements and the forces available for performance - always unpredictable in the seventeenth century and well into the eighteenth. Monteverdi may well have been astounded that the piece is performed as an integrated whole in say a secular hall like the Warsaw Philharmonia or recently in the cavernous Albert Hall as part of the Proms. This was a rare opportunity to hear this increasingly famous band play works by Bach that need little introduction from me as they are familiar to all music lovers. I can remember that ever since the exciting and revolutionary days of the 1970s when the so-called 'Early Music' battles were raging, these works and the 'authentic' forces that should be involved were discussed with heat and passion. The debate has settled in recent times and authentic instruments have become the norm and in many cases small groups of instruments that Bach probably had in mind. This is a far cry, the furthest cry perhaps, from the large forces of Karajan or Richter. One might say that this group live dangerously in the theatrical manner in which instruments are played (even accompanied by ballet dance movements in the body language of Antonini the music director and virtuoso recorder player). The first thing that struck me was the extraordinary sonority produced, particularly by the strident natural horns in the First Brandenburg Concerto. So arresting was this I thought something had gone terribly wrong within the ensemble. I find it hard to believe that Bach or his audience would have tolerated this but then who is to say in the justification of 'authenticity'. We are so far from the source of this music, multifarious justifications for the instrumental forces used and the types of instruments themselves are now possible for Bach. The composer's own rather ad hoc approach to instrumental assemblies in many of his works allows great leeway in matters of taste. He opened his recital with Bach. The Prelude in G minor for organ BMV 535 (arranged by Siloti). Many tears ago I used to play a small Willis organ in the Mission Chapel on a Pacific island. I have nearly always been unconvinced by the nature of such organ transcription for the piano. For me this performance was a revelation that changed by mind completely. Freire extracted an astonishing range of organ registers, textures, colour and legato playing from the piano. The bass notes were inescapably reminiscent of a 16' organ stop. Deeply satisfying. Then a Busoni arrangement of the chorale 'Ich ruf zu Dir, Herr Jesus Christ' BMV 639. For me these intimate Busoni arrangements of these innererly spiritual works of Bach are by far the most satisfying musically of his transcriptions for me, as opposed to the monumental productions most listeners associate with Busoni and Bach. The artists opened with the Sonata No 1 in F-minor for clarinet and piano by Brahms. The period sonority was immediately apparent which gave rather a salon atmosphere to this work. Brahms himself regarded the work as 'undemanding'. However I felt it was a serious work and would have benefited from a richer, deeper piano than the rather lightweight Erard. 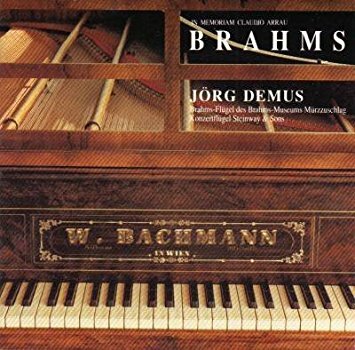 Just out of interest, some years ago the Brahms Museum, Murzzuschlag/Semmering issued an interesting recording of the Brahms-Flugel, which was an instrument by W. Bachmann, Vienna, 1850. The recording was issued 'In Memoriam Claudio Arrau'. The distinguished pianist Jorg Demus performs many Brahms pieces on the recording and this is contrasted with the same works performed on a modern Steinway. Tgis piano is much the same period as the Erard but has a different timbre and depth to the French instument. I felt more suitable for these late works. The concert opened with a quite brilliant juvenile work by Chopin's fellow student Feliks Dobrzynski entitled in French Ouverture de Concert a grand Orchestre (in D major Op.1) and composed when he was 17. Clearly he was a highly accomplished student - Jozef Elsner, teacher of both composers and Chopin's teacher, referred to him as an 'uncommon talent'. A charming period work with far too many identically repeated phrases (a fault in many 'minor' composers of the eighteenth and nineteenth centuries). certainly he had a command of the orchestra Chopin may have envied but then he did not have Chopin's genius for melody and intense and profound understanding of the piano which puts him rather in the shade - as it does many other, even great composers. I have always admired Nelson Goerner during this festival during past years in the two Chopin piano concertos. In this concert he gave dare I say, his rather predictable accounts. I felt the E minor Op. 11 rather lacking in imaginative response and as if 'going through the motions'. He seemed to approach it as simply a virtuoso work with no deeper content. In the Romance. Larghetto far too 'straight' an interpretation for me in a concerto that leaves so much about adolescent love unsaid, merely implied in the world of emotional yearning, longing and dreams. This must be communicated by the pianist as the entire work hinges on this movement. 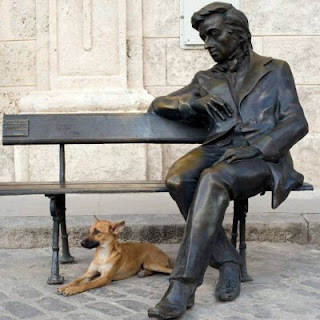 Chopin himself said 'I only indicate. The listener must complete the picture.' or words to that effect. On this occasion Goerner rather failed to extract much from a score he must be terribly familiar with by now. The orchestra seemed to me rather under-rehearsed and at times unsure of the score, especially the brass. 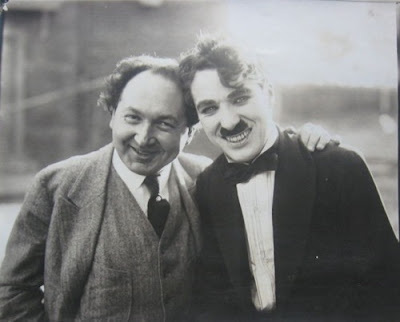 Biondi approached the works in his usual infectious ebullient style as 'jolly japes in Warsaw' but these works demand a far more serious approach even though youthful. The F minor Op. 21 after intermission was superior with more energy but again I felt the Larghetto spoke little of unrequited love and yearning. Considering the order of composition (the F minor is the earlier work) I wondered why the works were not reversed. The Larghettos are quite different in character and reflect different experiences of the nature of young love I feel. 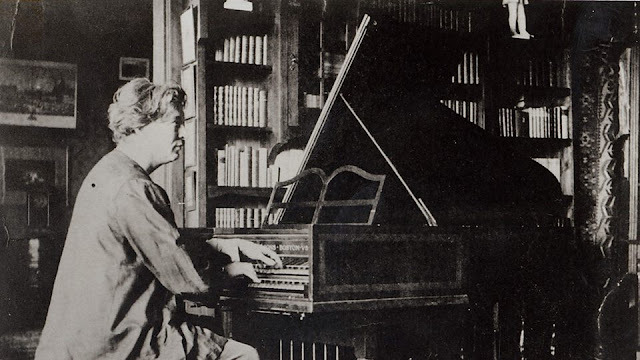 Pletnev sat poised, almost immobile, introspective at the instrument and played as if recreating these works within his mind - Preludes Op.23, Preludes Op. 32, the Barcarolle in C-minor Op.10, Morceaux de fantaisie Op.3, and to conclude his recital the monumental Piano Sonata No. 1 in D minor, Op. 28. He appeared almost static at the instrument, interned, almost introverted and not at all exhibitionist or declamatory, recreating these works at the very moment, at times seemingly improvising them before us, feeling his way around the sometimes congested and anguished harmonies. This was Rachmaninoff as I had never heard him performed before. 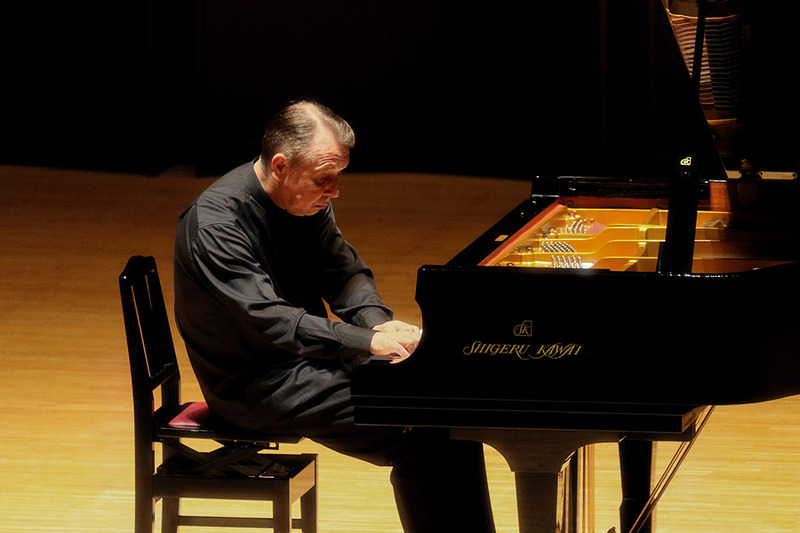 The charisma Pletnev generated cast a spell over the audience, mesmerizing them with his unique sound. He adopted an almost sphinx-like posture and under his fingers a superb glowing tone and refined touch, at once chiaroscuro, then impressionist, yet now expressionist in colour or monochrome, employing enormous variation of articulation, command of structure - especially in the sonata - all this was nothing short of awe-inspiring. He was playing his own Kawai piano which he had brought to Warsaw for the recital. 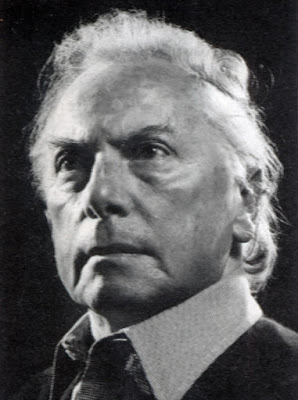 As listeners we have become so accustomed to the 'accepted' or 'received' manner of playing this composer on recordings and in the concert hall, with the all too familiar theatrical and rhetorical gestures. This fundamentally re-creative, almost self-communing approach, entirely rethinking every detail of the Rachmaninoff scores, was an extraordinary and spiritually elevating experience of the first order. A recital I will add to the small handful of great musical experiences of my life. I had anticipated a rather extraordinary concert with two of the major figures performing on period pianos today. The concert opened with an extraordinary and rather festive Beethoven work I had never heard before. Entitled the Name Day Overture Op. 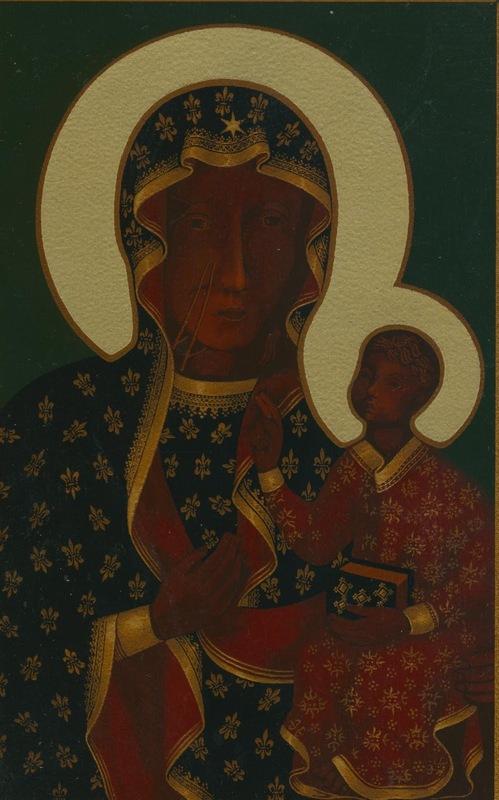 115, it was dedicated to Prince Antoni Henryk Radziwill but originally intended for the the name day of the Emperor. The Namensfeier never became popular. Although well constructed it has no memorable theme and is rather grandiose and pompous to my taste. The orchestra managed it well. This rather jolly introduction was followed by the Beethoven Piano Concerto No. 1 in C major Op.15. It was actually the second of Beethoven’s mature piano concertos composed in 1798. The work was published first because as public concert music it is on a grander scale than the earlier No.2. From the practical point of view with pianist as conductor, I think it was a mistake to position the piano with the tail pointing towards the audience. It meant that the pianist Melnikov (if he chose to conduct at all) could not maintain eye contact with many of the orchestral players. Aspects of the concerto are Haydnesque in many respects, especially the ebullient comic life and quirky humour of the final Rondo. 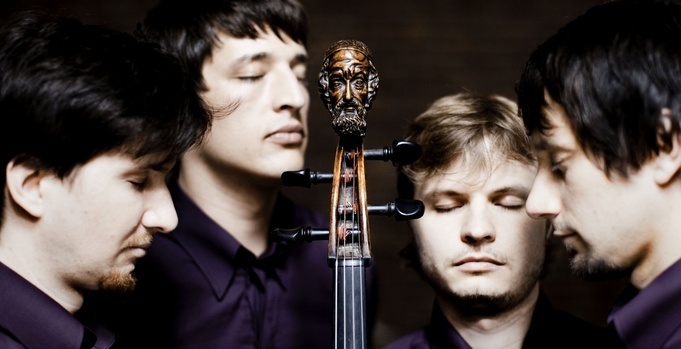 Allegro movement, even Mozartian in the beautiful vocally expressive, lyrical Largo. However it is good to remember just how adventurous, possibly unacceptable, perhaps revolutionary, Beethoven must have sounded to his harmonically conventionally schooled audiences, even in this early work. Our modern ears find it difficult to recreate the conventional musical circumstances of late eighteenth Vienna. I must admit to being somewhat disappointed in the brilliant Melnikov, in particular his almost complete lack of creative dialogue with the orchestra, if he was actually conducting it. Synchronization of soloist and orchestra was not all it could have been by any means. Dare I say I felt him under-prepared? I felt he did not have a great deal to say humorous or poetic about this concerto which lies on the cusp of change between the classical and the budding of the romantic temperaments with Beethoven's own voice rising before us. Identification of the enormous first movement cadenza Melnikov played which rather unbalanced the classical form, still defeats me. 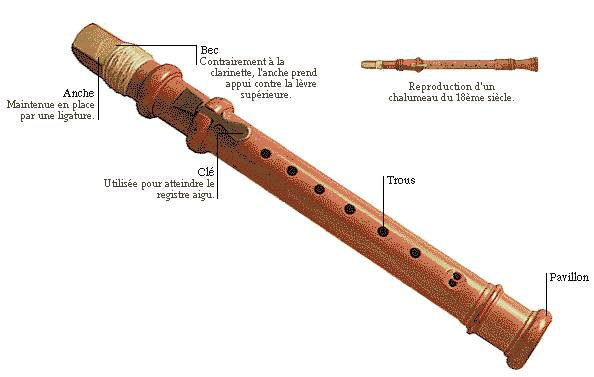 I did not warm to this rather under-rehearsed and frayed account (orchestra shall we say 'unstable' since the death of Bruggen) and felt that many of the characteristics of the period instrument were lost in the Filharmonia as the lid of the Erard had been removed added to its unfortunate positioning. The varied tone colours, different registral timbres so characteristic of earlier instruments and clearly heard in smaller rooms, seemed rather lost in space. This is so important in the revolutionary and unique opening of the concerto with that, so challenging for the pianist, sweet and soft G major chord. With Beethoven on period instruments I like to feel the unbearable tension of the inadequate nature that the dynamically limited instrument posed for Beethoven's fertile imaginative mind, his overwhelming passion of trying to stretch the response of his instrument. Added to this limitation, his affliction of increasing deafness. His favourite instruments were by Broadwood, Streicher and Graf. I remember seeing worn ivories on Beethoven's pianos on my pilgrimages through his locations. Says a great deal about his robust style as a pianist and the effect of his increasing affliction. I listened to this on the radio as a type of experiment in sound and found the balance of period piano and orchestra quite different to the concert hall. In the opening Allegro I felt the less considered rather too lively tempo adopted was not sufficiently 'noble' for my taste. A fine line certainly. Although Beethoven did not name this concerto (it was his English publisher Cramer who did so - English publishers had a passion for naming works, also many by Chopin which he loathed!) 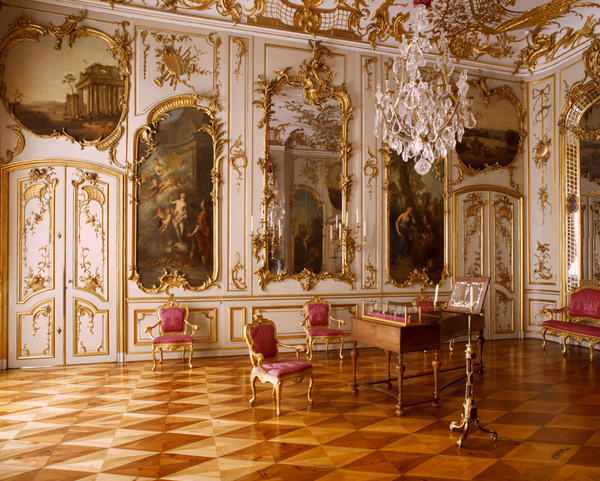 Beethoven did dedicate it to the Austrian generous patron of the arts, clergyman and noble, the Archduke Rudolph. The composer dedicated 14 rather serious works to this remarkable individual, including the Hammerklavier Sonata and the Missa Solemnis. The divine Adagio un poco moto dialogue, a nocturne really, between piano and orchestra was moving and very sensitively accomplished (how could such a sublime melody be anything else). Again I came to the conclusion that Melnikov's expressive range on this instrument seemed strangely limited dynamically. Perhaps it is again a question of taste but in this concerto I prefer less overtly 'virtuosic' Allegros. This indication has a range of expressive possibilities and not always a race to the finish. However his was certainly superior to the previous evening. Kenneth Montgomery seemed rather in awe of this distinguished orchestra. We then had an almost willfully eccentric account of the Schumann Piano Concerto in A minor Op. 54, one of the greatest works in the romantic concerto repertoire. I was put in mind of a fairy tale I read once where a boy finds a magical crystal toy in the forest and decides to take it apart to examine it. Then to his horror he cannot reassemble the toy in any meaningful manner to once again contemplate its beauty. I felt this an analogous case where this great work had been deconstructed to examine the workings in detail but then it could not be reassembled to resemble anything like its previous cohesive and beautiful form. There is a fine line in interpretation between an individual performer's interpretation and a distortion of the composer's intentions. I felt this line had been crossed here (and I imagine so did the orchestra from their evident discomposure trying to follow the pianist). 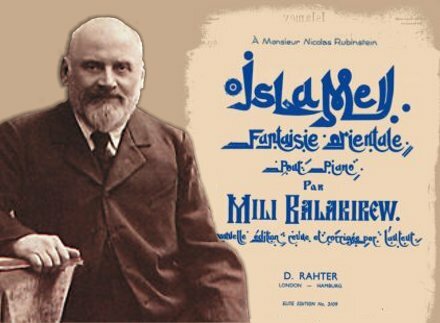 Everyone associates Mily Balakirev with that great nineteenth century piano warhorse , the oriental fantasy Islamey. It is a magnificent confection that eclipses all others I grant you, so perhaps not surprisingly I was completely unfamiliar with his Piano Concerto in F sharp minor Op.1 which opened this evening's programme. Written when he was 19, it was Balakirev's debut work in St. Petersburg in February 1856. The work evidences the influence of Glinka and Chopin. 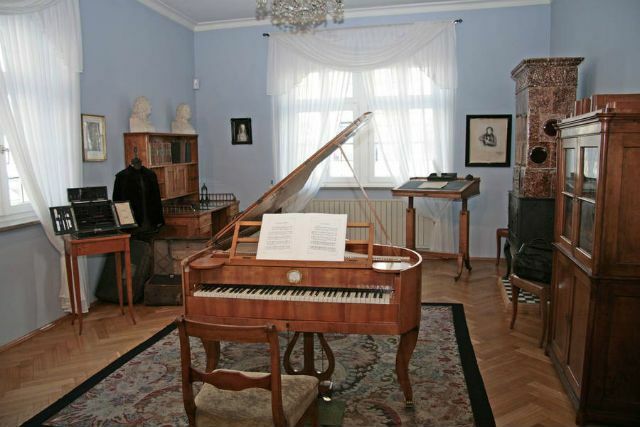 Incidentally, the Russian Balakirev was the prime mover in the establishment of the memorial at Chopin's birthplace at Zelazowa Wola near Warsaw for which all Chopinists should be eternally grateful. 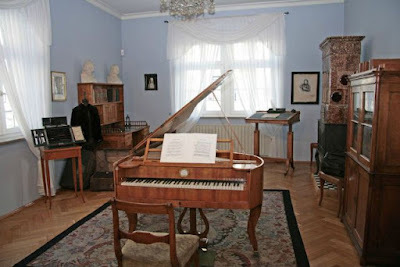 A Russian musical nationalist he brought together a group of composers known as The Mighty Handful (Могучая кучка) who were five distinguished 19th-century Russian composers who created Russian classical music. Mily Balakirev led the group (also known as The Five), Cesar Cui, Modest Mussorgsky, Nikolai Rimsky-Korsakov and Alexander Borodin. 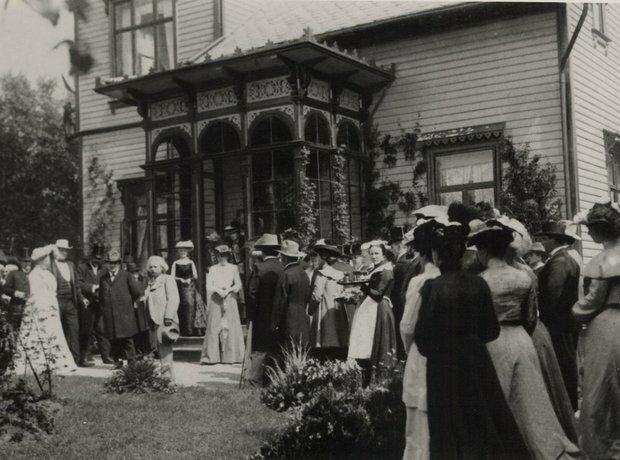 They all lived in St. Petersburg and worked creatively together from 1856 to 1870. The piece had nationalist feeling certainly. Perhaps the ubiquitous presence of the military in the landscape of nineteenth century Russia (and Poland) led to the opening on kettle drums. Chopin also used them prominently in his concertos. No genius for melody was present here however and for me the use of identical repeated phrases finally become tiresome (a fault in much of uninspired minor composer's writing at the time). The main theme was pleasant enough shall we say but no more than that. I also felt the orchestration rather uninvolving. A charming period piece from the composer given a good account by the pianist Sergey Kasprov who I expect would have to have had to learn this obscure rather short piece unexpectedly. Then to the Chopin F minor Piano Concerto Op. 21 with Krzysztof Jablonski as soloist. I found this to be a completely competent performance but without great individuality or flair. In the Maestoso opening I was hoping for more dynamic variation and emotional range, in the Larghetto there was for me none of the yearning of illusioned youth for distant and unrequited, perhaps infatuated love and some anger at rejection or indifference and I found little finesse or subtlety in the Allegro vivace final movement. A popular performer that roused the audience to great enthusiasm so perhaps I am missing something! Pletnev utilizes tremendous dynamic range to express a crescendo arching of pain and loss with superb tone, nuance and poetry. Phrasing that speaks volumes in sensibility and expressive pianistic finesse. The Adagio sostenuto uttered a deeply moving yearning filled with emotional agitation. Very meditative in mood these drams of love with such a delicate pianissimo touch and varied articulation of the greatest refinement. Again, as in his recital, one received the uncanny impression Pletnev was improvising the work or recreating it at the keyboard. 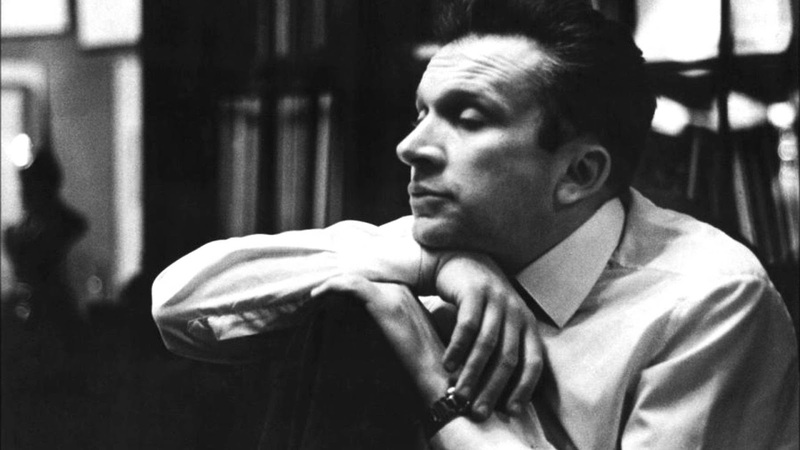 If it had not been of course for the over-loud insensitive brass and percussion orchestral sections that sometimes covered the piano part completely with the highlighting of some banal counterpoint phrase, undisciplined by the ear of the conductor Grzegorz Nowak. However the notorious horn call in the final movement was played with accuracy and tremendous self-confidence! I felt at times Pletnev was playing in competition with the orchestra in dynamic terms which is most unfortunate with this most subtle of great pianists. There was some communication between pianist and conductor, but as Pletnev is also a fine conductor I wonder what he made of Mr. Nowak. Pletnev gave no encore. He opened his recital with my favourite among the Bach English Suites, No:3 in G minor. The English Suites despite their name resemble closely the French Suites that followed them in order of composition. He encouragingly performed the entire suite without resorting to the pedal yet maintained a fine legato throughout. I felt the tempo he adopted in the Prelude denied this suite a certain sprightly forward momentum it possesses, internal energy in a word. The counterpoint was clear and articulation attractive for Bach on the piano. His phrasing in the Allemande was exemplary as it was in the moving and soulful Sarabande but as the work progressed I felt he was tantalizingly missing the essential rhythmic nature of the French dance suite on which the composition is based. This was especially true of the two Gavottes that had pastoral innocence in abundance but lacked a rhythmically convincing French dance character. I also felt the marvelous Gigue that concludes the suite could have also had a great deal more internal energy driving it along, despite the independence of his hands. Throughout it is delineated by the influence of Impressionism and Expressionism, and also remarkably inspired by ancient and oriental cultures. Although in fact returning to classical sonata form (it is possible to isolate four distinct sections despite its one movement structure), the work utilizes completely original and avant-garde harmonic language, based on the twelve tone scale. A work of the greatest genius, it is saturated in impressionist orientalisms, intensely demanding chromaticisms, almost a scherzo followed by a stupendous polyphonic Fugue which concludes the work. I have rarely heard this in concert as it is so demanding many pianists will not even approach it. Ohlsson courageously gave what seemed to me anyway as a novice with this sonata, a convincing account. After the interval, Chopin. I hate to say this but must confess to being rather disappointed. The soft touch and rounded tone were still present but some subtlety, refinement and finesse seem to have been lost with the passing years. Am I being unfair to a great pianist? Possibly. 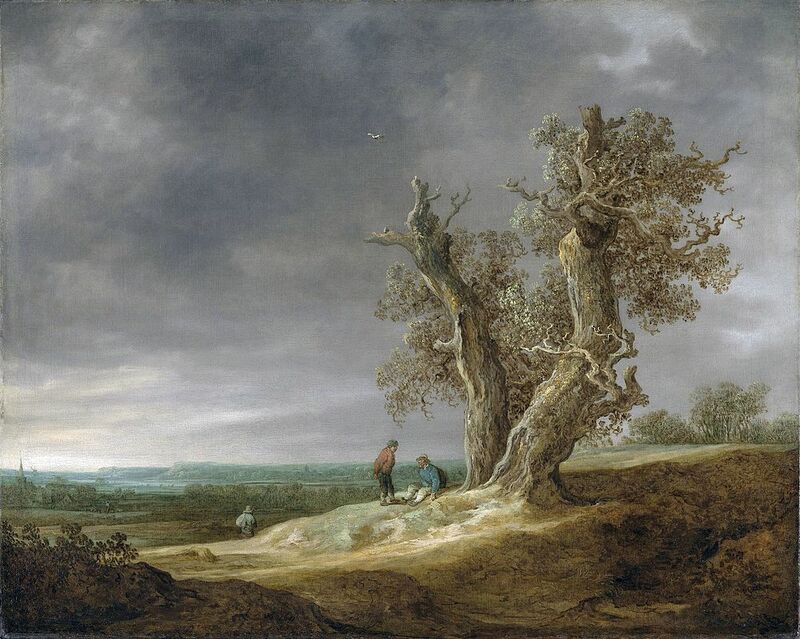 The Scherzo No 4 in E major Op.54 lacked the electrical energy, capriciousness, whimsicality, lightness and sometimes insidious sparkle of this curious musical dialogue. The Nocturne in F minor Op.55 No:1 was pleasant enough but not particularly moving. Although once as a young man having taken dancing lessons to improve his understanding of Mazurka rhythm, this appears to have been lost along the long road of life in the A-flat major Op. 59 No:2 and the B-flat minor Op. 24 No:4. These ventured into Waltz rather than Mazurka territory. He concluded his recital with the Ballade in G minor Op. 23 which seemed to have become a series of rather disjointed dramatic episodes than a coherent musical narrative in what is sometimes obscurely but usefully termed 'absolute music'. I felt much was exaggerated purely for the theatrical effect of these isolated dramatic episodes. The encores were: Chopin Nocturne in F sharp major Op. 15 No 2 (beautiful, possibly the finest part of the recital), the Rachmaninoff C-sharp minor Prelude (a harsh tone playing to the audience dynamic predilections) and to conclude the brief Scriabin Etude F sharp major Op 42 Nr 3 which was delightful confection for the audience but is it meant to be? Avdeeva betrayed enormous authority at the keyboard, more than during the Fryderyk Chopin International Chopin Competition in 2010. Without a conductor she was intimately and passionately involved with the orchestra. I would like to quote verbatim what I wrote of her Concerto in E minor Op.11 performance then, as it applies perfectly to her approach to this concerto this evening, perhaps even more accurately now than seven years ago. 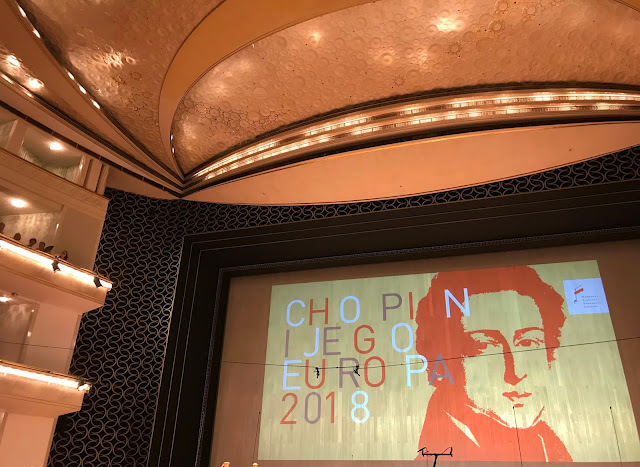 To be honest I could not wait to hear one of the most mature, stylish and musically perceptive pianist of the competition, she who presents Chopin as a grand maitre of the keyboard. I anticipated a rather 'symphonic' approach and was satisfied in this expectation when the first movement opened in an exalted Maestoso statement of regal proportions. She plays in a truly aristocratic manner with superbly expressive, blue-blooded tone of great self-confidence and pride. Her rubato is affecting and just the sheer number of subtle pianistic 'things' she does at the keyboard is so imaginative - a complete piano technique - all degrees of staccato up to staccatissimo, a wide dynamic range, cantabile, a detached presto or a caressing legato, the correct durations of notes carefully observed - she can do anything with those marvellous fingers. Avdeeva is also tremendously intense emotionally and utterly convincing. Without a conductor, simply the brilliant leader of this orchestra, she maintained a close connection with the orchestra. She saw the work as a proper cohesive structure, as a whole integrated structure. The Larghetto was similarly aristocratically poised, full of noble sentiment, majestic phrasing with a fine bel canto and cantabile. So much detail and variation of tone - a 'thinking at the keyboard' quality gave it an improvisatory mood of elegiac reflection on unrequited love coupled with a mood that contained all the grace and charm of fatalistic resignation. Full of sentiment and expressive rubato of great nobility. One sensed passion restrained and a strain against the leash. Repeated phrases were always given a unique character and not repeated identically which can be so tiresome. The Allegro vivace expressed throughout the movement the true rhythmic nature of a Polish mazur with reminiscences of the Rondo a la mazur. Her superb articulation and astonishing degrees of detache playing exhibited tremendous authority and control of the styl brillant. The rhythm was infectious with again much inner detail, variation of attack and imaginative thinking. Great forward drive, impetus and momentum. Exciting and dangerous tempi, not exaggerated but operating at the very limits of her control - communicating the adrenalin of 'risky business' - as it should be in any great performance.Even the notorious horn call in the final movement was more or less successfully transferred to the cello. This seductive and distinguished pianist brings a potent sexual energy, passionate restraint and projection to her playing which I personally find irresistible. Is it Chopin? 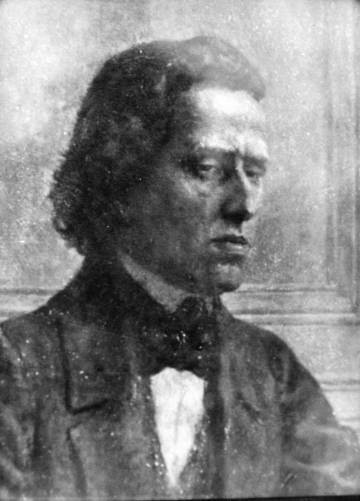 Certainly it is one Chopin, an entirely convincing and consistent view of him as a composer. The force of her musical integrity and vision carried all before it. I imagine for most musically informed people (especially English melomanes) it would appear as almost a crime to forego an opportunity to hear the brilliant Angel Hewitt play Bach on the piano, especially the Goldberg Variations, late at night in the opulent gilt Neo-classical ballroom of the Zamek Królewski (the King's Castle) in Warsaw. The two 8' stops on any harpsichord (each stop available separately on a different keyboard) sound differently and will interact, blend and augment each other from the point of overtones and harmonics in a unique way particular to this instrument yet at the same time retain aurally a clear single polyphonic line for each voice. The central registers of the harpsichord, where Bach places much of this music, is at times dissonant, then luminous and lustrous in a way impossible to reproduce on the piano however skillful the executant. If one adds the 4' stop the glittering beat of angels' wings enters the proceedings. The accumulation of effects when the repeats are observed and appropriately ornamented is substantial. 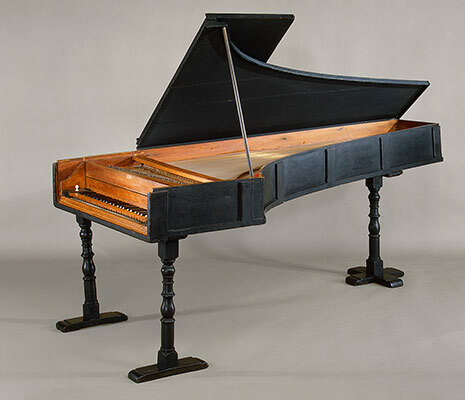 The harpsichord offers the repeats a textural and timbral opportunity for variation that the piano can only dream of with its homogenization of sound (despite the Glen Gould revolution). Symbolically represented, bliss is indissoluble from the experience of pain. The desolation of Golgotha inextricably tied to the glory of the Resurrection. Suffering as inseparable from the Divine. 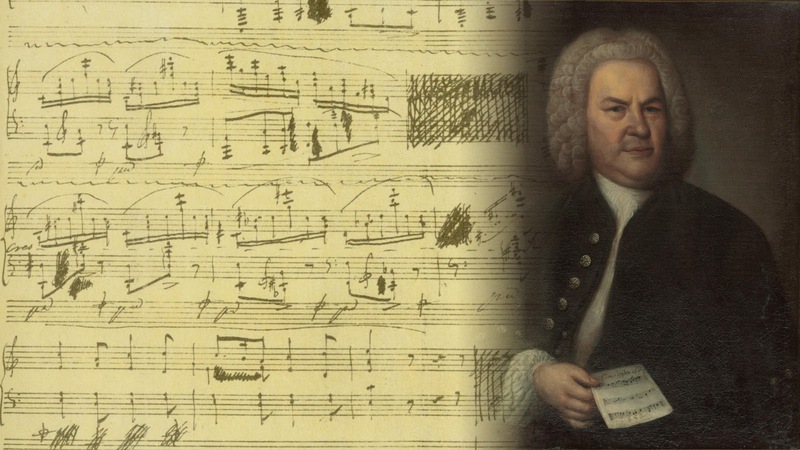 This alteration of dissonance and harmony in unequal temperament would have been of immense religious as well as sonic significance to Bach the organist. 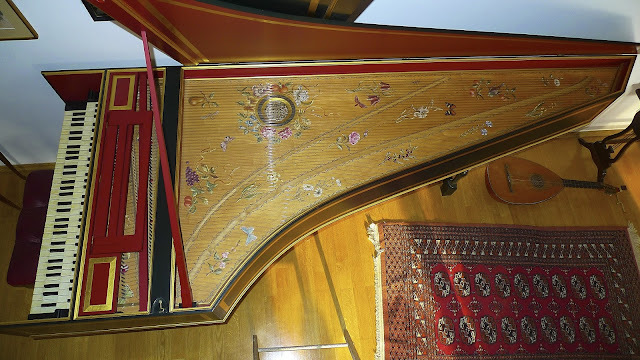 The Baroque had an obsession with unity (two in one) which is sonically, expressively, symbolically and physically possible in this way only on the two manual harpsichord. The keyboards can be symbolically coupled. Earthy dances and physically exciting toccatas on two keyboards. The spiritual meditation of a canon on one. The right and left hands are often inverted on two keyboards - a symbolic mirror effect in the writing so clear on two but 'muddied' on the single keyboard piano (however brilliantly inventive the executant). 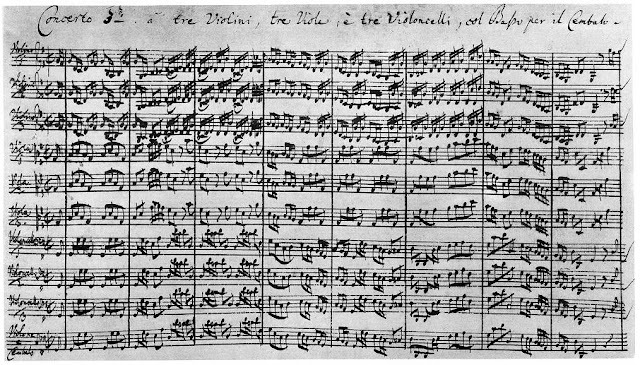 Bach's fascination with numerology is regarded as only of superficial or cosmetic interest today when choosing an instrument for the Goldbergs, yet he determines, for example, that every third variation is a metaphysical canon, vocal in texture, to be played on one keyboard ('oneness' in a spiritual sense). The great Wilfrid Mellers in his forgotten but seminal work Bach and the Dance of God writes 'The Goldberg Variations are poised between being and becoming'. He writes of their timeless circularity, that Unity is 'God' and of Nature founded profoundly in numbers. Such alternating function of symbolic and timbral intention between one and two keyboards is simply not possible on the homogenizing single keyboard piano and considered to be of no intrinsic significance anyway by modern audiences. 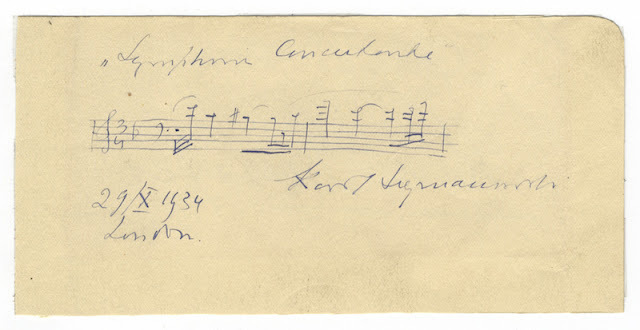 Generally speaking a modern audience is interested only in the sound and the performer's virtuoso reputation and avoiding like the plague the complex intellectual world and inescapable numerological, 'mathematical' and religious significance of Bach's writing, instrumentation and development. Following the interval, the Apollon Musagete Quartet with Gabriela Montero in the Schumann Piano Quintet in E flat major, Op. 44. 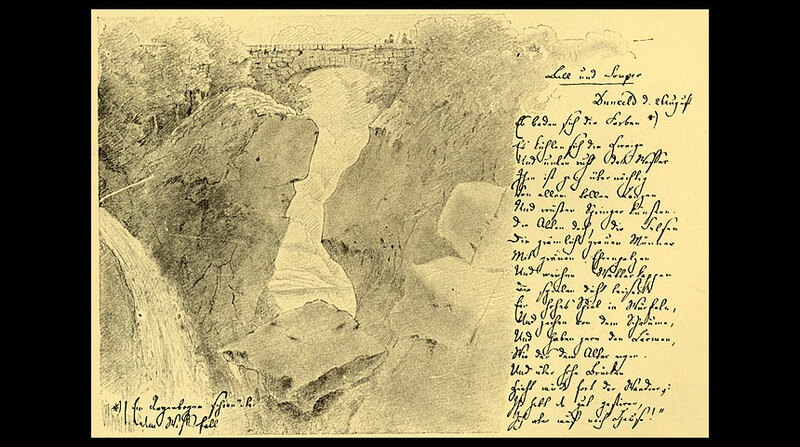 This piece was written for the composer's young bride Clara Wieck not long after they overcame many family obstacles to be married in 1840. It acknowledges her virtuoso piano playing and their mutual love of Bach. 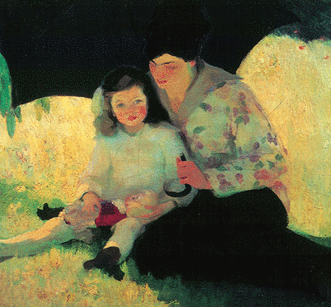 In the opening Allegro brillant the lyrical themes - such a wonderful 'song' rises for the cello - are simple and full of the expression of young ardent love and affection. It is clear that the quarete loves playing chamber music and was joyful, spirited, sensitive and energetic in this performance. I was reminded by one of the jury of the wonderful Swedish film Fanny and Alexander (1982) where this work featured. Absolute, unadulterated Romanticism infuses the piece. 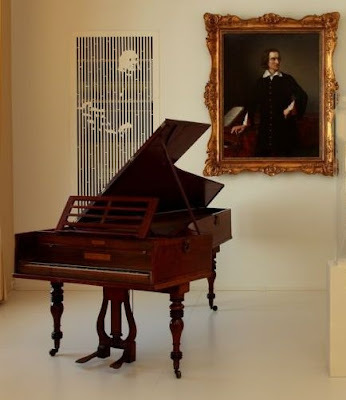 If you want to hear the magnificent ensemble of four unequally tempered harpsichords listen to the Gustav Leonhardt Consort on period instruments with Edward Muller, Gustav Leonhardt, Janny van Wering and Anneke Uittenbosch as keyboard players. I bought the original vinyl set on Telefunken in 1976 and still love it. Rather like listening and watching a grove of aspen trees rustling their leaves in a polyphonic summer breeze - a quite wonderful complexity of eloquent harmonics. Finally the Chopin Sonata in B minor Op. 58. 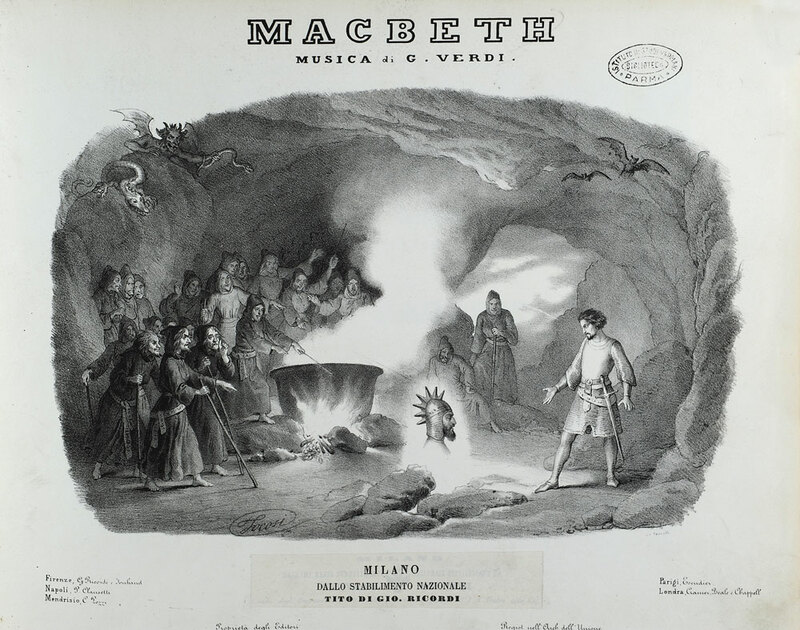 There was nobility in the opening Allegro maestoso but I think it would be mean-spirited of me to analyze in detail what followed save to say there were some very beautiful moments especially in the challenging Largo. The Chopin tempo direction Finale. Presto non tanto was rather overlooked in the 'non tanto' phrase and became rather a fast race to the finish. I wondered what he was trying to tell me in this sonata. This could have been absolutely delightful and certainly was in parts because of the deep familiarity of music that has touched us all at crucial moments throughout our lives. However I was desperate for what one might a say is 'a less glued together' legato and slightly more detaché playing by the orchestra. The phrasing of the conductor did not betray a great deal of rehearsal or Baroque thought. I quite realize Mahler was deeply immersed in the romantic view of Bach and his choice of works to re-orchestrate indicates as much. Perhaps this old-fashioned approach was perfectly accurate in a 'period Mahlerian performance' but could we not have had a little evidential knowledge of the Bach revolution in performance practice over the last forty years? The Symphony No. 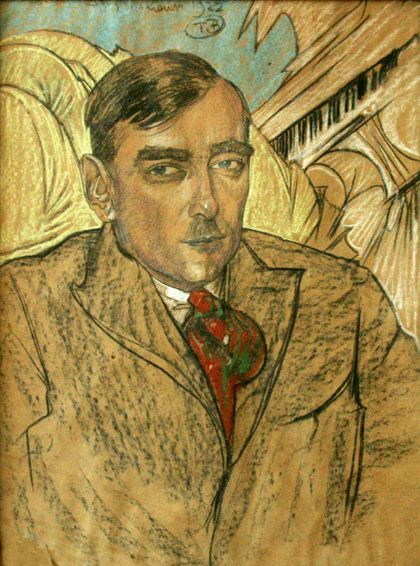 4 (Symphonie concertante) was composed in 1932 with the idea of Szymanowski himself as the piano soloist. He had always wanted to write a piano concerto although this is not really one in the accepted sense of that genre. The premiere took place in Poznań, also in 1932. The composer as soloist and Grzegorz Fitelberg the conductor. 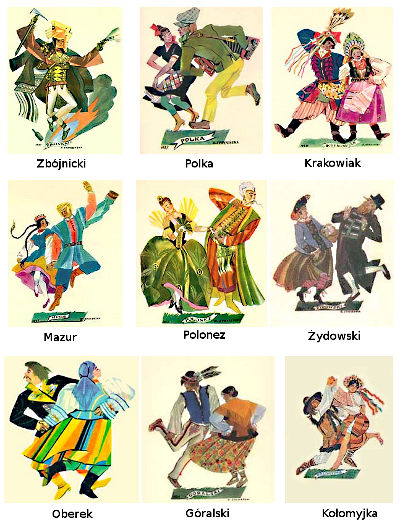 It is a powerful nationalistic work celebrating in a way that Poland had regained independence after over a hundred years of foreign hegemony. The composer's fascination with the music of Stravinsky is clear - his attempt to universalize national values - quite a task in Poland in all the arts I have noticed! Consider the magnificent paintings of Jan Matejko which are so hard to universalize in their detailed historical values. 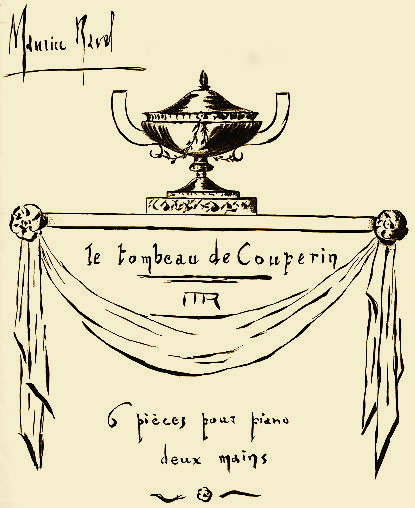 The 18th century Symphony concertante idea was popular with neo-classical composers in the 1920s and 1930s as a half-way house between symphony and concerto. This Symphony has three traditional movements. The first Moderato is in sonata form. 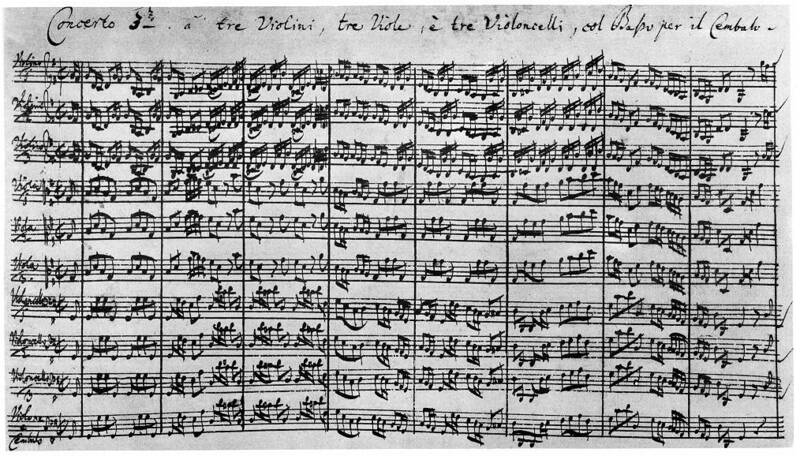 The second Andante molto sostenuto is poetic and lyrical (as was expected in the 18th century) and the third, with the unusual direction, Allegro non troppo, ma agitato ad ausioso, a type of rondo. The piano is the concertante instrument. The orchestration is brilliant, indeed magnificently clear, wonderful melodies and tremendous dynamic impact. Ohlssohn was a fine concertante pianist in this tumultuous work. The conductor Nowak may have lacked inspiration at times in phrasing and transparent cohesion but managed his forces well apart from the almost oppressive loudness in this hall. Superb musical impact overall, at least for me, deserving the wild scenes of adulation that followed.